Since 1901, Boyt has worked hard to provide rugged and dependable equipment, accessories and clothing for all hunting and shooting enthusiasts. All of our products are carefully crafted with durable materials to withstand even the most challenging conditions for years of enjoyment. It is not easy setting the standard for quality, but it is a role that they have grown accustomed to after more than 100 years in the business. Boyt Harness Company, the hunting industry standard for gun cases and firearm storage and transport, traces their beginnings to a family owned regional harness shop in turn of the century Iowa. The industrious Boyt brothers founded Walter Boyt Saddery in 1901. The Boyt brother’s burgeoning enterprise primarily manufactured fine driving harness for buggies, however, the Great War in Europe took the company in a direction that would frame it for the next 100 years. The advent of World War I found the company building the first of many firearm accessories such as military pistol holsters for the then new Colt 1911 .45 pistol along with cavalry saddle bags and harness for artillery and transport horses. In 1925, the name was changed from The Walter Boyt Saddlery Company to The Boyt Harness Company and a new generation of Boyt brothers continued the tradition of making harness, saddles, bridles and tack for farmers and stockman across the Midwest. Struggling through the Great Depression and the dust bowl years, Boyt Harness Company developed a reputation for quality and delivery second to none and farmers across the country proudly tacked their draft teams in well oiled Boyt harness and collars each morning but the Japanese attack on Pearl Harbor begin another shift to production for the war effort. From 1941 through 1945, The Boyt Harness Company produced millions of pieces of equipment destined for American offensives in both the European and Pacific theaters as tens of thousands of teachers, farmers, office workers and tradesmen were transformed into the largest standing fighting force in the nation’s history. After the war, Boyt shifted production back to saddles and harness, but the mechanization of America had put most of the work horses out to pasture. 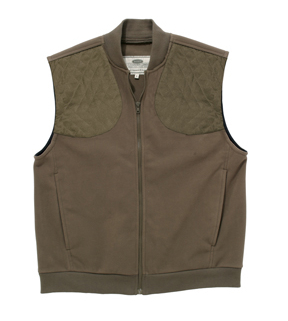 For the first time, sporting goods became a priority and gun cases, hunting vests and cartridge bags begin to make up the majority of production. 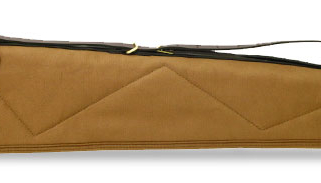 The Boyt Five Star canvas case, named for the five award stars that the company had been presented for their production efforts during the war years, was quickly heralded as the premier method of firearm storage of the times, a position that Boyt has maintained for almost 70 years. Building upon Boyt’s dominance in the high end gun case and accessory markets, the company begin to acquire other top sporting brands starting with the acquisition of Bob Allen Sportswear in 1997. Bob Allen Company was started in a parachute shop on the tiny Pacific atoll of Tinian towards the end of World War II. Bob Allen was a young, nationally known, clay target shooter before the war, who later parlayed his aerial gunner instructor duties into a combat assignment in the South Pacific. Bob’s first product design was a long billed cap that helped keep the sun out of bomber crews’ eyes on their long flights to mainland Japan. Trading a ration of wartime Scotch in the parachute shop for each one of his prized hats, the Bob Allen Company was born. After the war, the hats found favor with shooters and soon Bob was selling hats, shooting vests, pouches and bags from the trunk of his car as he traveled the shooting circuit. Opening the first retail store on the grounds of the Grand American Trapshoot, designing the first shooting vest, and the first non-military camouflage pattern were just a few of Bob Allen’s “firsts”. Sadly, Bob was killed in a car accident in November of 2004, but his legacy still lives on through the brand he started almost 70 years ago. Acquisitions since that time have included the Rattler’s and Bug Out brands of protective clothing for the outdoorsman, Secure Vault, personal security and hand gun storage systems, and the Mud River Dog Products.Mud River Dog Products builds innovative and high-quality accessories for dog training and the hunting world. From puppies to full grown dogs, Mud River has beds, bowls, collars, and everything in between to keep your dog happy, healthy, and hunting. 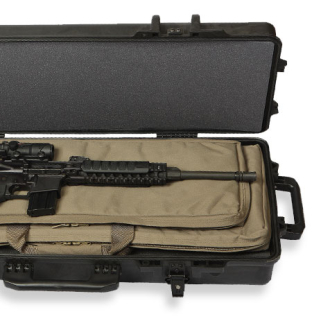 Mud River will also be introducing a new line of clothing and travel gear in the upcoming year.The core Boyt brand has continued to expand as well, entering the injection molded travel case market in 2009 with the introduction of the Boyt H-Case series. Since 1901, Boyt has worked hard to provide rugged and dependable equipment, accessories and clothing for all hunting and shooting enthusiasts. All of our products are carefully crafted with durable materials to withstand even the most challenging conditions for years of enjoyment. It is not easy setting the standard for quality, but it is a role that they have grown accustomed to after more than 100 years in the business.